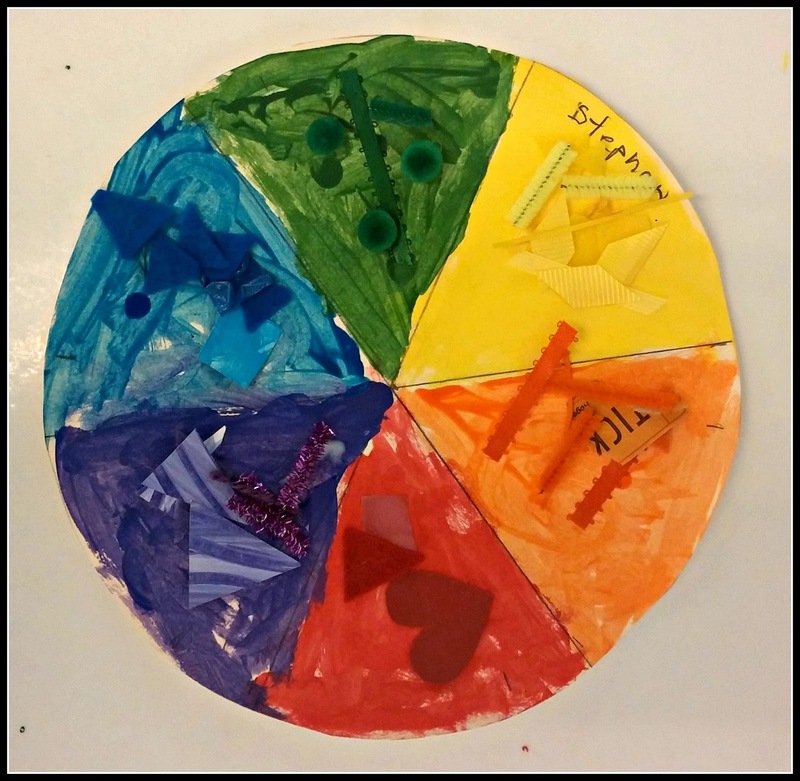 Color Wheels by Pr-K and Kindergartners! 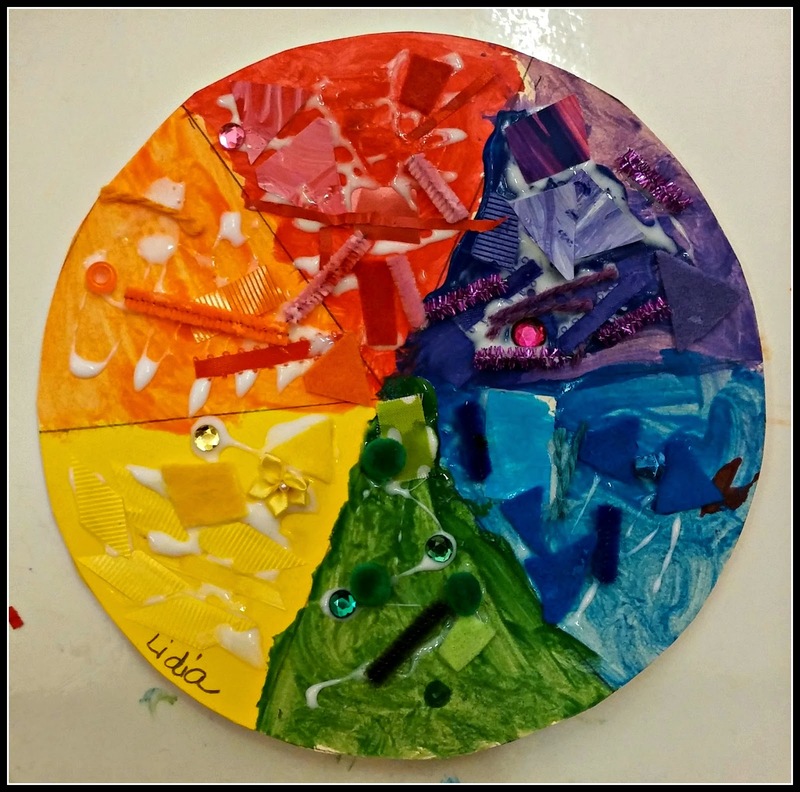 It's that time of year, In the 1st couple weeks of art class, I introduce the color wheel. 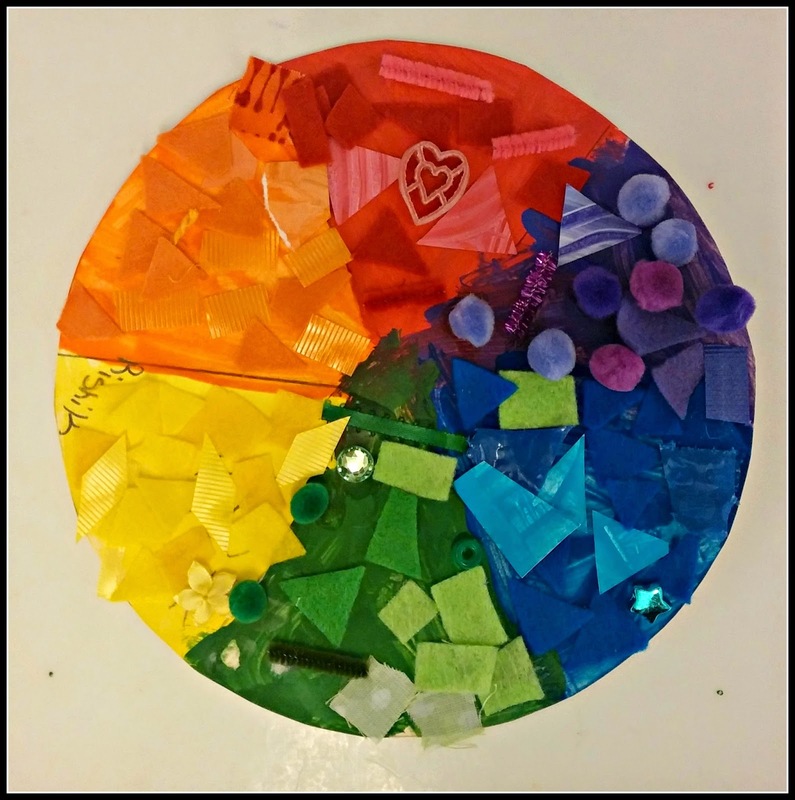 Cut a 8" diameter circle out of cardboard or recycled manila folders. Divide it into 6 pie slices with a pencil. For the younger kids, I put a dot of paint in the corresponding slice onto the wheel. This helps them paint the right colors in order. I use tempera paint for this project. brushes well, yellow won't be yellow! 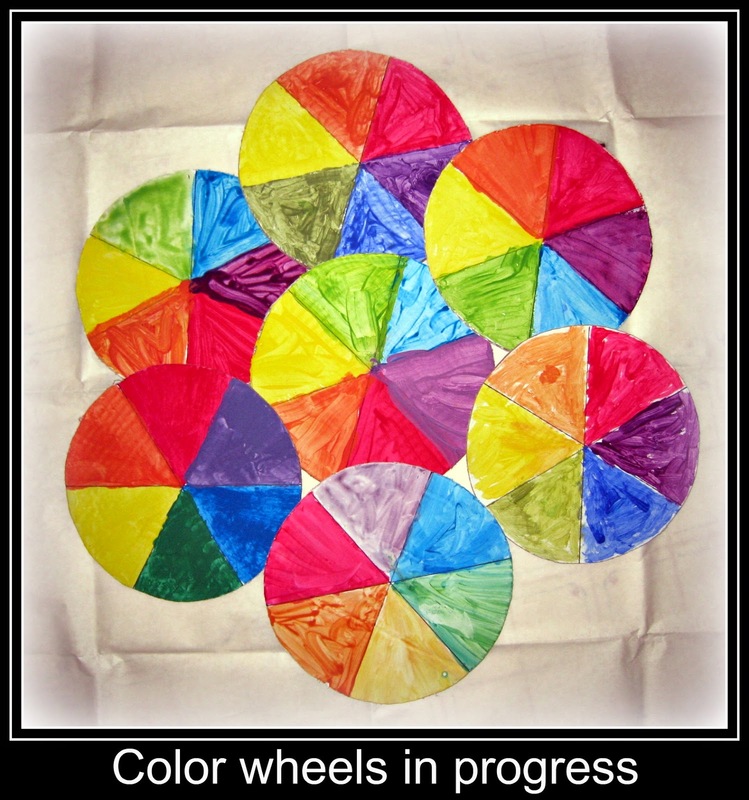 I also tell them to watch their water change color as they paint there way around the wheel. There is no need to wait for the wheel to dry. 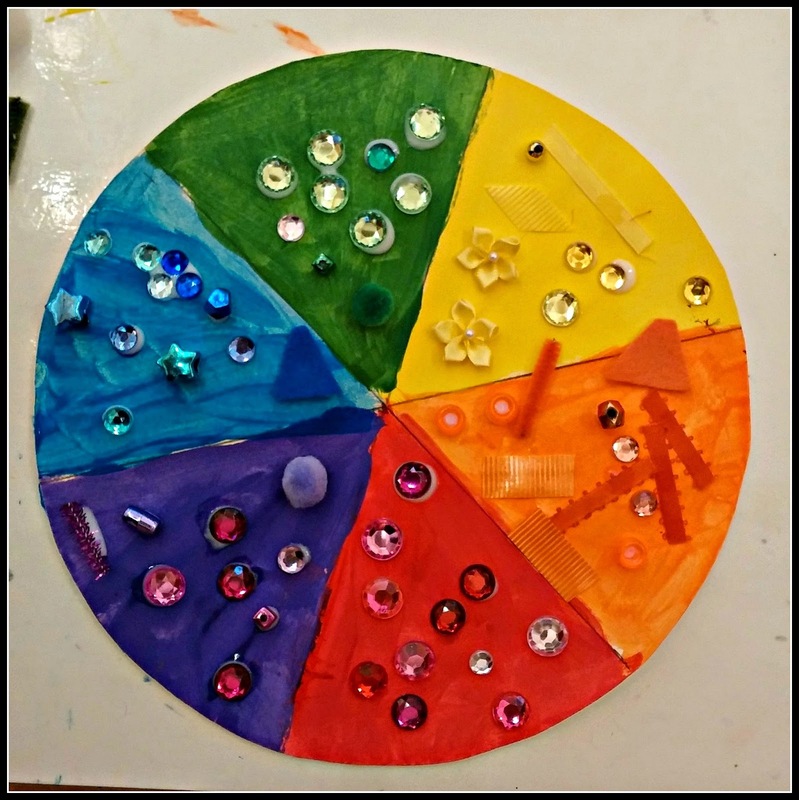 We jump right in and start gluing our color wheel embellishments! You can come up with your own embellishments. I have been collecting for many years. One of my little Picasso's went for all the shinny jewels! them use all their leftover paint. They can mix or paint what ever they like.